The stars of FTPW invade one of Tampa Bay's best breweries for a night of live pro wrestling action! 3 Daughters Brewing Presents: The 90's Themed Triva! 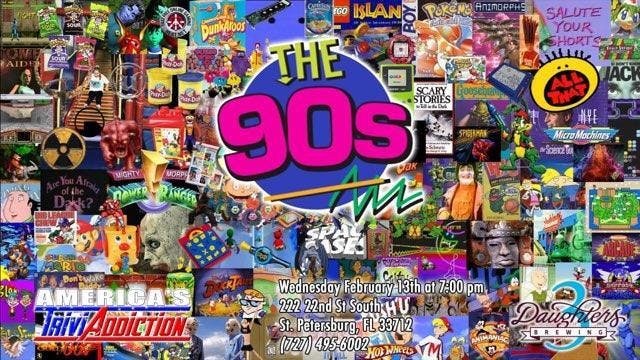 We are hosting 'THE 90's' themed trivia on Wednesday, February 13th. We are capping this event at 50 teams max. Only one member of your team needs to registers for ONE eventbrite ticket. One member must check in, using your eventbrite ticket or bar code, no later than 6:30pm.